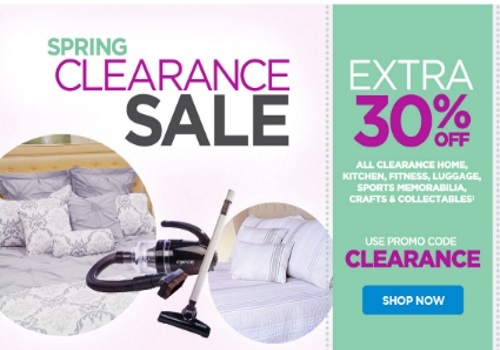 The Shopping Channel is offering an extra 30% off during their Spring Clearance Sale! Save on al clearance home, kitchen, fitness, luggage, sports memorabilia, crafts and collectables. Enter the promo code CLEARANCE at checkout. Offer ends April 29 2016 at 9:59pm ET..